Puerto Princesa – Palawan is known globally as a top island destination in the Philippines for its pristine beaches, crystal waters, as well as its biodiversity, being home to more than a hundred rare animal and plant species. Every year, more than a million tourists visit this narrow archipelago on the western border of the country to experience this tropical paradise. Palawan is the Philippines' largest province in terms of total area of jurisdiction, with a land area measuring nearly 1.5 million hectares. The region is a hodgepodge of migrants from different parts of the country and home to numerous ethnolinguistic groups. Among the original dwellers in the island is the Palawano tribe, also known as the Pala'wan or Palawan. This indigenous cultural community lives in the southern part of Palawan province and thought to be descendants of the Tabon cavemen, whose culture can be traced back 50,000 years. 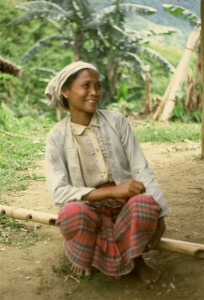 The Tabon are amongst the earliest people recognized to have inhabited Southeast Asia. In the past, the Palawano tribe are hunters, forest-foragers, and cultivators who prefer to live in far-flung upland areas near the forest where they mostly acquire their everyday necessities. They were animists who regularly performed rituals to appease the good and bad spirits to assist the tribe in both spiritual and material matters. Today, they are mainly agricultural and grow rice, bananas, root crops and a variety of vegetables. The Palawano tribe belongs to the Manobo-based linguistic group of southern Philippines and is divided into four subgroups, namely, the Central Palawano (also known as Quezon Palawano), Brooke's Point Palawano, Southwest Palawano, and South Palawano (also known as Bugsuk Palawano). The tribe's language appears to resemble that of the Malay, although different groups may exhibit some distinctions depending on their location. The influx of missionaries in the region during the early 1970s has altered much of the Palawanos' indigenous traditions, especially among those who reside in the lower parts of the island. They were taught new religions, such as Christianity, Hinduism, and Islam. Moreover, they were introduced to the outside world. As roads developed in the region, a large number of new settlers began migrating to the area, thus further pushing many Palawanos to the surrounding areas. Due to the influence of newcomers, the source of livelihood for the majority of the tribe has shifted to farming, with hunting, honey collection, and rattan gathering as additional sources. Just like other tribes in the area, young Palawano boys and girls are trained to weave at an early age. The males are assigned to gather and prepare the materials, while women are tasked to accomplish the actual weaving, most of which are done during daytime. A famous handicraft produced by the Palawanos is called tingkep. It is a unique basket made of rattan and used to store rice, carry food, or even store treasured possessions. Tingkep is also used by healers during a ritual called kundu to house the spirit of Linamen, a beautiful and powerful female spirit. This woven basket is slowly gaining popularity among tourists, which serves as another source of profit for the tribe. The recent revitalization of mining in the last ten years has been a threat to the Palawano people and has caused extensive damage to the mountains and forests, as well as their ancestral land. Many of the medicinal plants used by the tribe to cure certain illnesses are no longer available in the jungle. Along with the changing surroundings of the Palawano tribe at present, their culture and traditions are also at risk of declining. Several communities have already moved to different locations due to the toxic soil brought about by mining. It is hoped that a solution will arise soon to help the Palawano tribe retain their lands as well as their culture and tradition.